(P1) Snapchat is widely popular with the younger generation for sharing visual content. While the app allows users to share videos and pictures with friends, one feature that makes it different from other apps is that the messages disappear from the recipient’s phone after a few seconds. (P2) However, no app is perfect and even Snapchat has some flaws. The biggest flaw with Snapchat is that the application doesn’t make it obvious if someone has blocked or deleted you. (P3) Fortunately, using some neat tricks you can know for sure if someone is no longer following you or has blocked you. 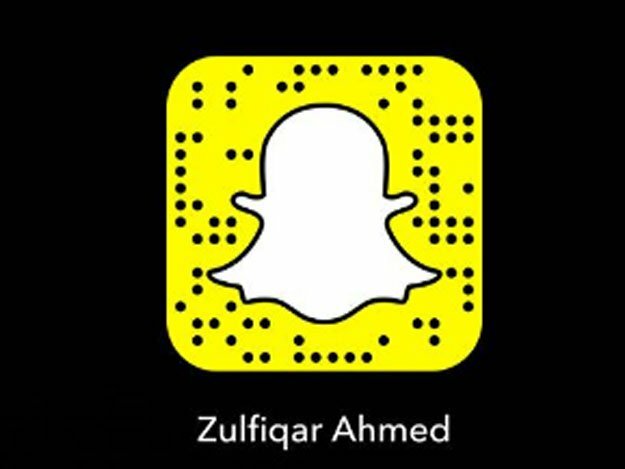 (P4) To see if someone is following you back or not, tap and hold on their name to see their Snapcode. It’s the yellow ghost icon as seen in the photo above. (P5) In order to find someone, just search for their name in the chat section of Snapchat or simply look for them in your list of friends. (P6) If you mutually follow each other, you will be able to see your friends Snapscore. A person’s Snapscore is the total sum of all snaps (photos and videos) they’ve sent and received in the app. (P7) However, if the person’s Snapscore is not visible, it means they are not following you. (P8) If someone doesn’t follow you back, it could mean they’ve either unfollowed you, blocked you or that they never followed you, to begin with. Why do you think Snapchat is so popular with the younger generation? What other social apps do you use? Why? Which educational and learning apps do you use? Why? What makes Snapchat unlike other social apps? How will the icon appear if a person is not following you? If both people are following each other, what can you see?